Owen King is a graduate of Vassar College and the MFA program at the Columbia University School of the Arts, he is the author of the novel Double Feature, We're All in This Together: A Novella and Stories, and the co-editor of Who Can Save Us Now? Brand-New Superheroes and Their Amazing (Short) Stories. His writing has appeared in Grantland, One Story, The New York Times Book Review, Prairie Schooner, and Subtropics, among other publications. Owen has also taught creative writing at Columbia University and Fordham University. He is married to the novelist Kelly Braffet. Stephen King is the author of more than fifty books, all of them worldwide bestsellers. His first crime thriller featuring Bill Hodges, MR MERCEDES, won the Edgar Award for best novel, was shortlisted for the CWA Gold Dagger Award and received the Goodreads Choice Award for the Best Mystery and Thriller of 2014. His second bestseller to feature Hodges, FINDERS KEEPERS, was published to outstanding critical acclaim. 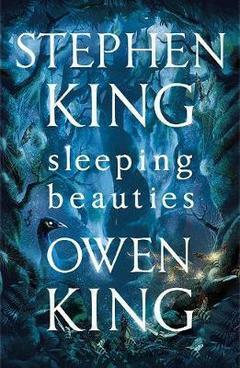 Many of King's books have been turned into celebrated films and television series including The Shawshank Redemption. King was the recipient of America's prestigious 2014 National Medal of Arts and the 2003 National Book Foundation Medal for distinguished contribution to American Letters. In 2007 he also won the Grand Master Award from the Mystery Writers of America. He lives with his wife Tabitha King in Maine.